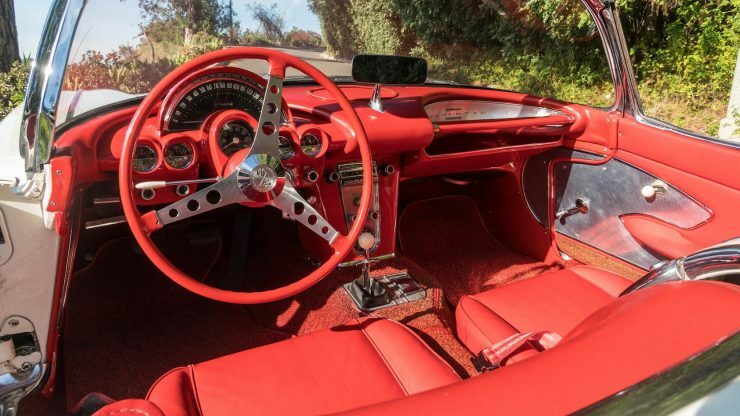 The Chevrolet Corvette C1 was designed and built to show the Europeans that their neighbors across the sea could also build world class sports cars capable of rubbing shoulders with the fastest, best handling cars coming out of Britain, Italy, and Germany. The Second World War had a huge impact on the American automobile industry, many hundreds of thousands of young American men had been to Europe, and they’d experienced European sports cars like MGs, Jaguars, and Alfa Romeos. Many GIs brought cars back with them when they returned, and campaigned them in races both large and small from coast to coast. 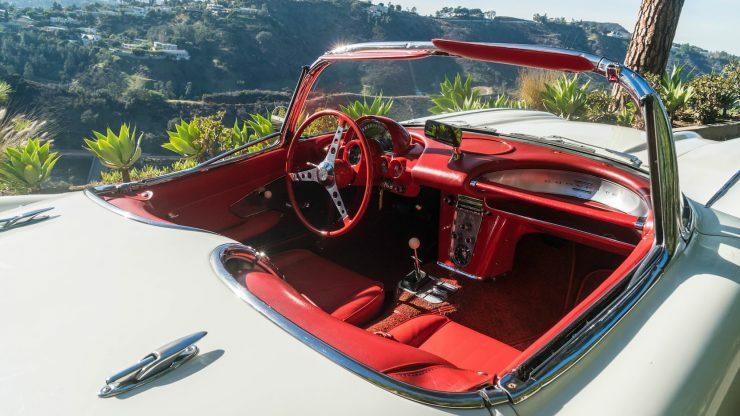 In the early 1950s it was General Motors designer Harley Earl who began working on a project that would become America’s most famous sports car. 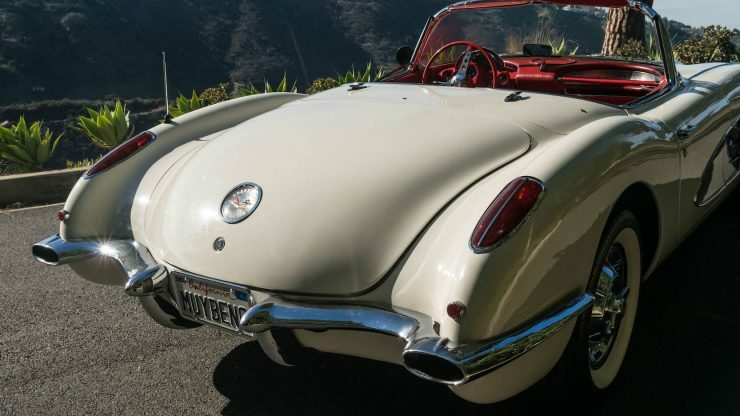 It was developed under the name Project Opel, and when it was first shown to the public in 1953 at the General Motors Motorama at the Waldorf-Astoria in New York City, the car was named the “EX-122”. 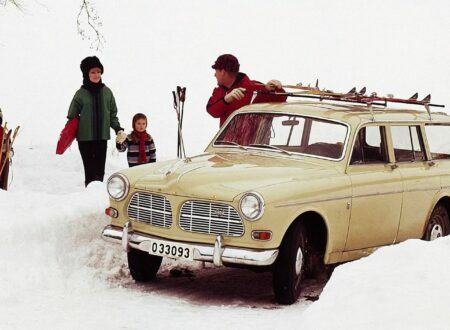 Interestingly, the EX-122 wasn’t fitted with a V8, but rather with a straight-6. 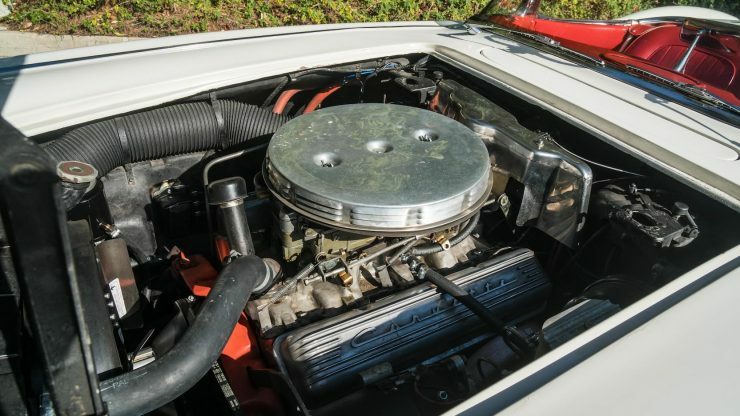 This engine choice was made for two reasons, the first of which being Chevrolet had an ideally suited straight-6 in production already, and the second of which was that many of the desirable British sports cars used the same inline-6 configuration. From the outset, the plan with the new Corvette was to keep costs down. 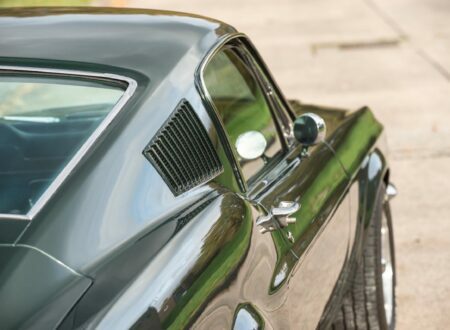 As a result, many parts were sourced from elsewhere in the Chevrolet product catalogue. 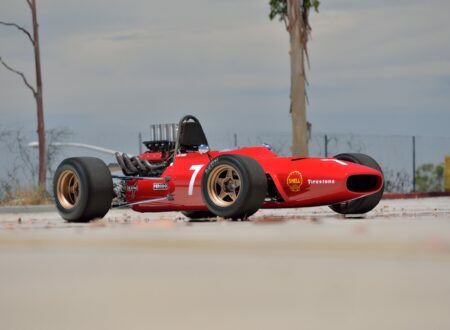 The chassis, suspension, brakes, engine, transmission, and rear axle were all sourced from pre-existing Chevrolet passenger cars – though the 235 cubic inch straight-6 did benefit from a higher-compression ratio, triple Carter side-draft carburetors, and a higher-lift camshaft. In production trim, the new Corvette engine produced 150 hp, and at the time of launch the only transmission option was, somewhat disappointingly, a two-speed Powerglide automatic. 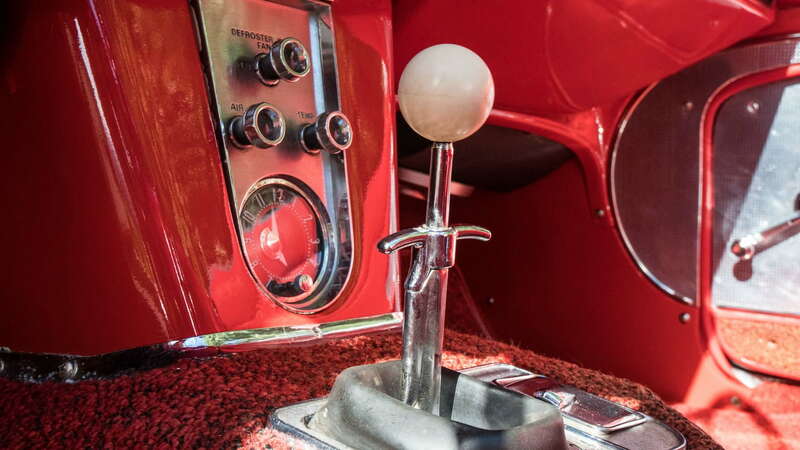 It wasn’t until Zora Arkus-Duntov stepped in in 1955 that the 265 cubic inch V8 became available on the Corvette, and it could be paired with the far superior 3-speed manual transmission. 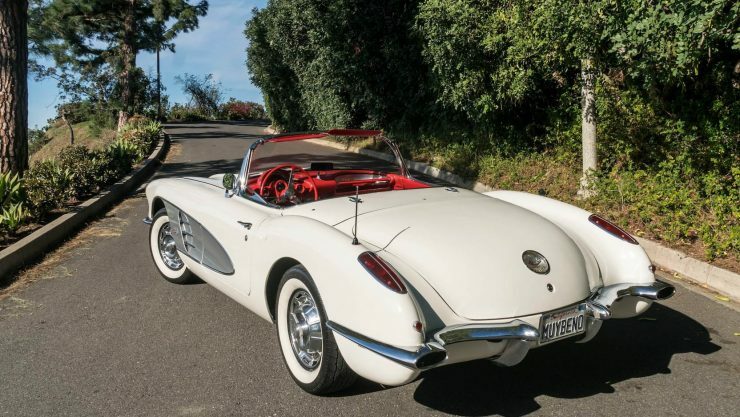 There would be a body upgrade in 1956 accompanied by additional engine and transmission upgrades, and in 1958 the final major upgrade to the C1 Corvette occurred. 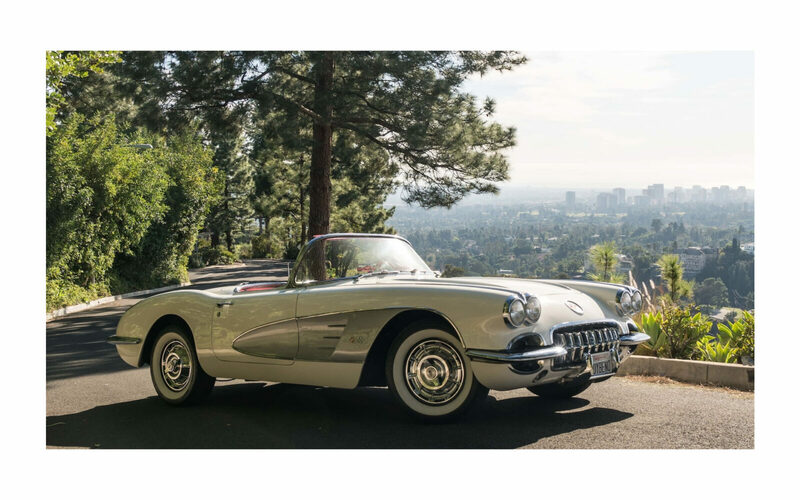 The is the car that many immediately think of when they think of a C1 Corvette – it has quad headlights, ample chrome and jet age styling, an updated interior, and a series of significantly upgraded engines were offered. 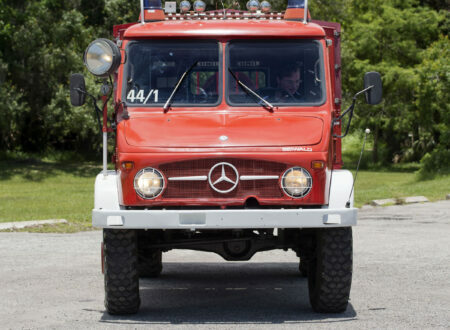 One of these upgraded engines was the 283 cubic inch V8 capable 270 hp, thanks to “Dual Quad” Carter carburetors, and paired with a 4-speed transmission. This would be the Corvette that could go toe to toe with the best from across the Atlantic, and often come out on top. 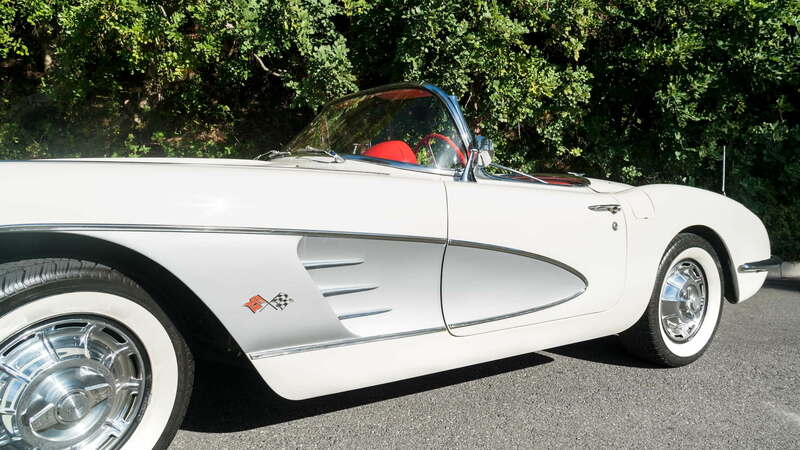 The Corvette you see here is an original 1960 Dual Quad example, fitted with its original V8 and matching 4-speed. 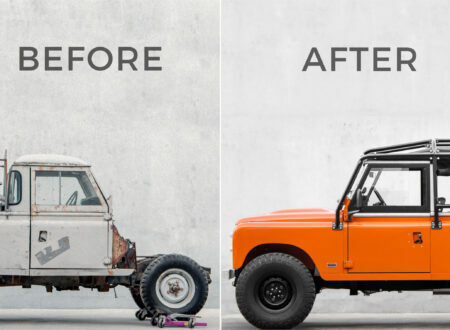 It has $17,000 USD worth of receipts on hand, including invoices for a brand new soft top and a new clutch – both recently fitted. 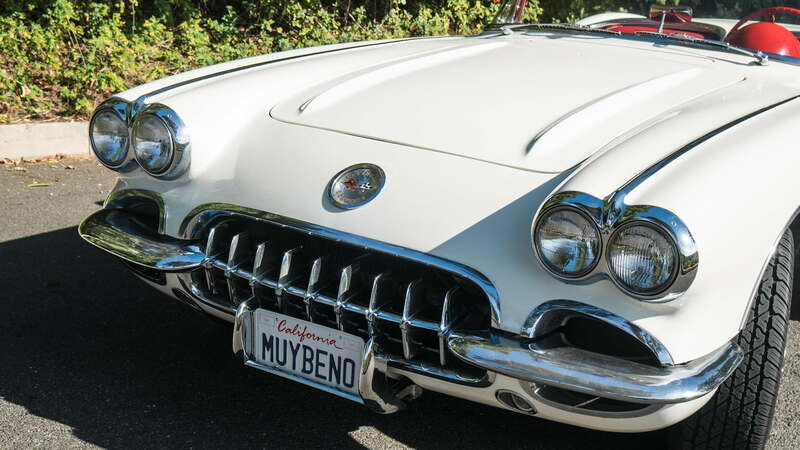 This car is offered in the highly desirable white over red color combination, with the paint, brightwork, and interior all looking to be in good overall condition. 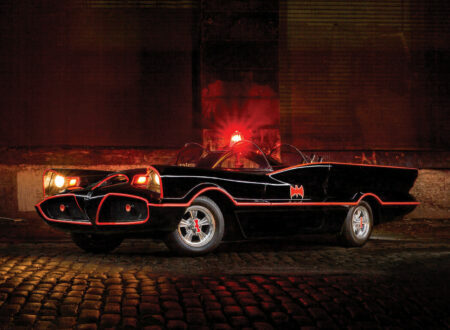 If you’d like to bid on this car or read more about it, you can click here to visit Mecum, it due to be sold in mid-February in Los Angeles.